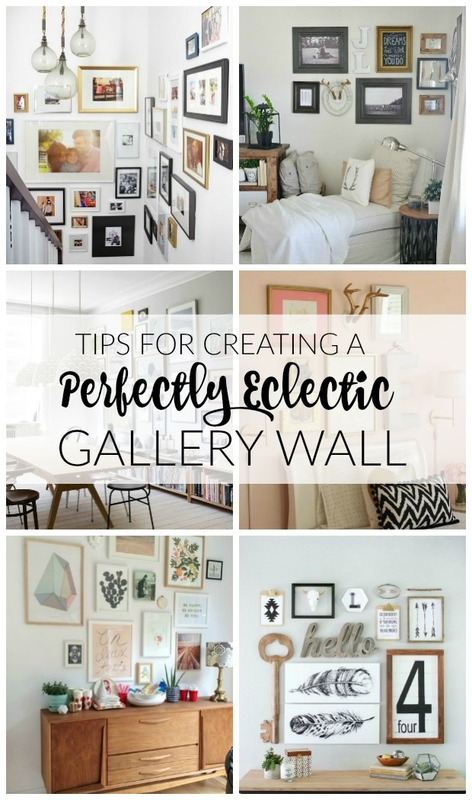 In my opinion, gallery walls are supposed to be fun. 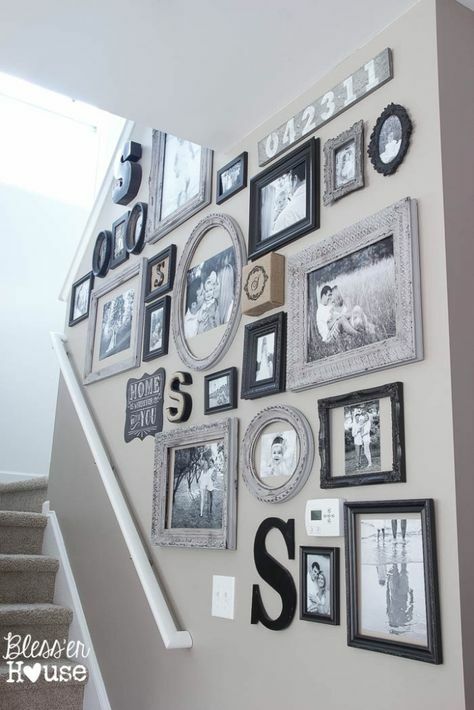 They are a great way to fill a large wall and showcase your personality without spending a lot of money. 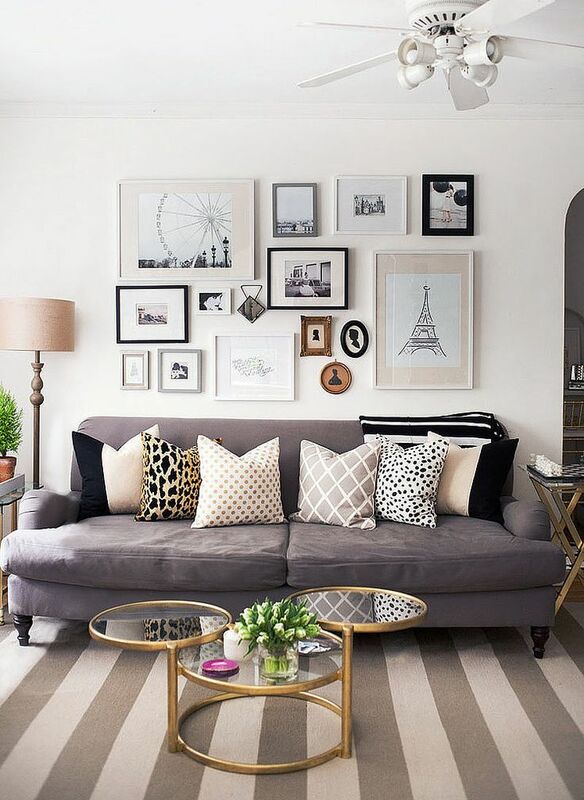 They don't have to match or be symmetrical to be amazing. 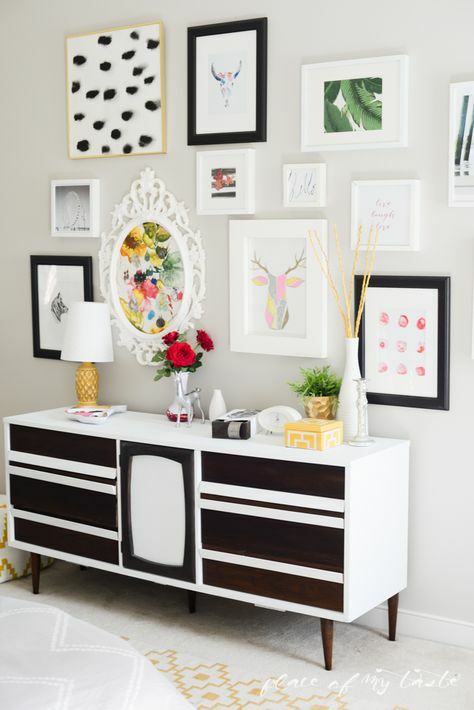 Some of my favorite gallery walls are ones that look collected and showcase a variety of frames, shapes and textures. 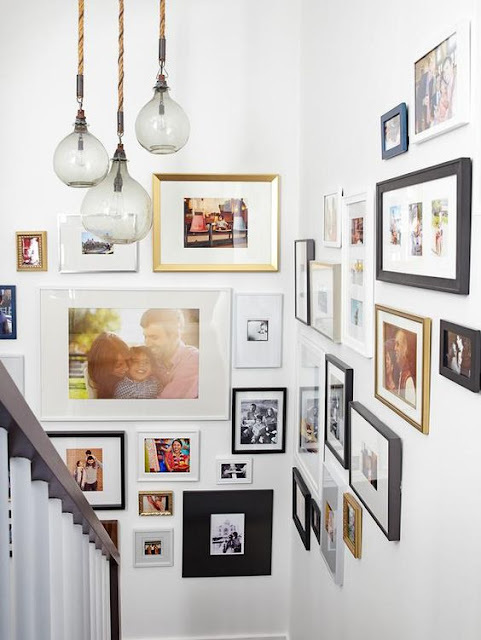 A lot of people tend to be scared when creating gallery walls, but you don't have to be. Have fun and make it your own! 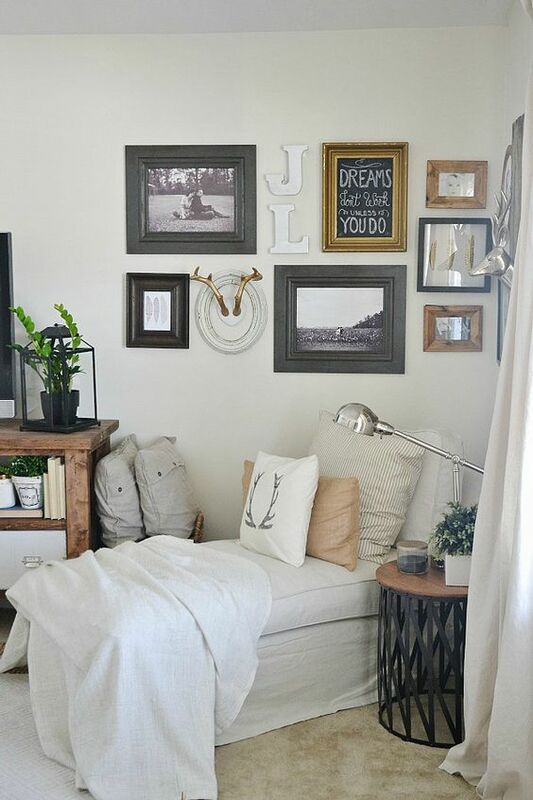 Lay frames on the floor and arrange until you are happy with the layout. 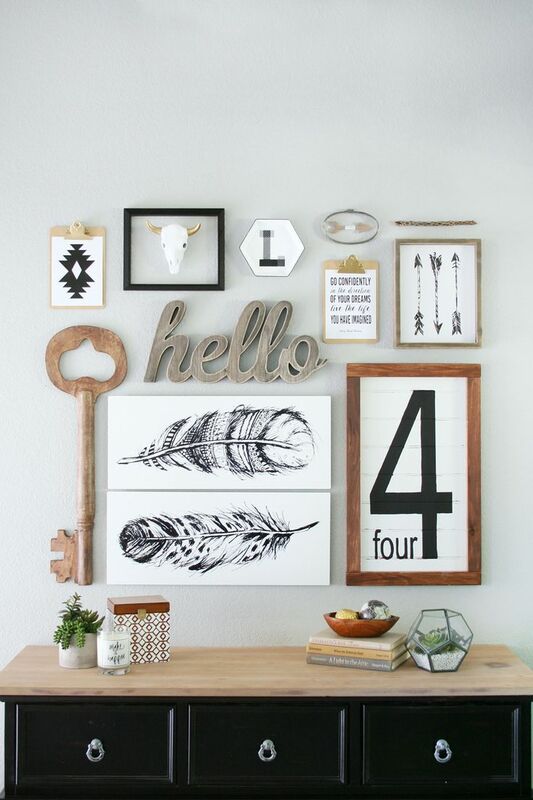 Use painters tape or cut paper to frame sizes to help transfer your layout to the wall. 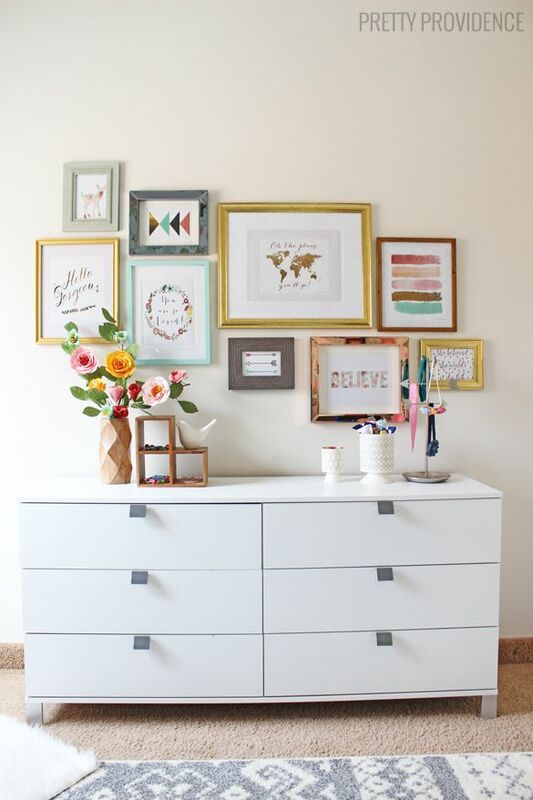 Vary frame sizes- start with one or two larger frames then fill in the gaps with smaller frames. 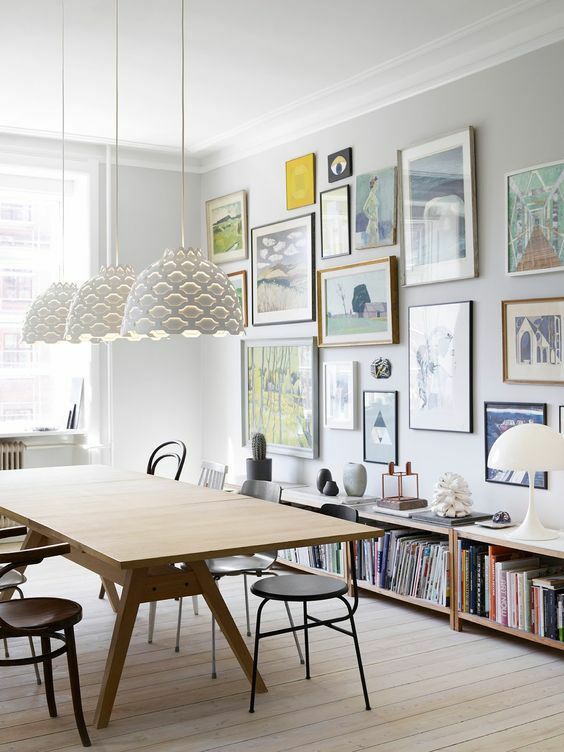 Hang frames both vertical and horizontal. 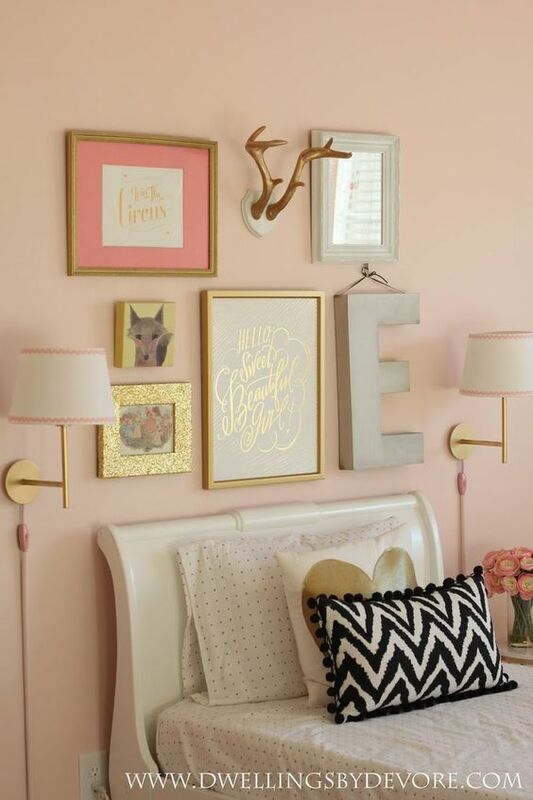 Mix up the color, style and shape of frames - Don't get hung up on matching frames. As long as you are staying within a color scheme your frames will look collected, yet intentional. Hang frames no less than 1 inch apart. You're going for eclectic and intentional not crowded and forced. 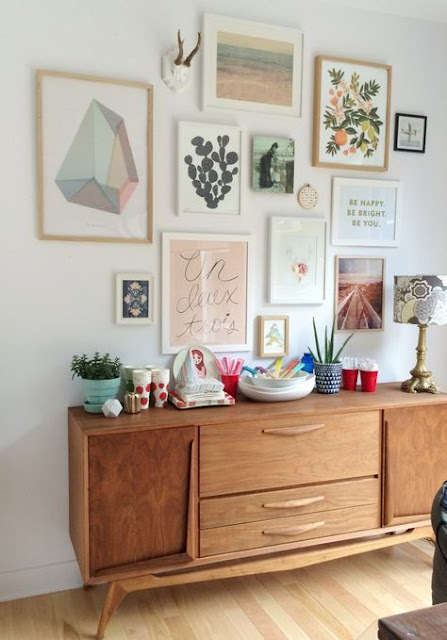 All this beautiful inspiration is giving me the itch to create another gallery wall. How about you?